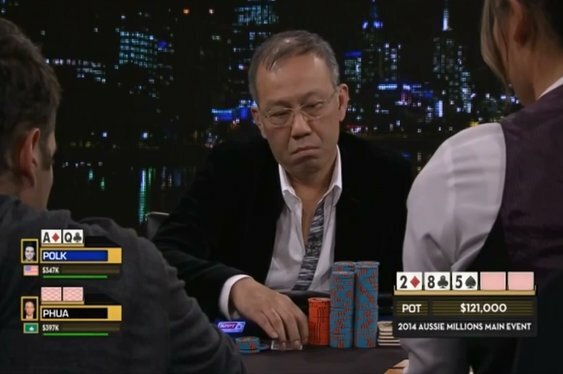 According to the Las Vegas Review-Journal, Paul Phua's son, Darren, is expected to enter a guilty plea to misdemeanour charges linked to the transmission of wagering information. In contrast to his father, Phua will admit guilt to lesser charges at some point in the coming days and give $125,000 as well as a selection of expensive equipment. As yet it's unclear when Phua will formally enter his plea, but the Review-Journal is speculating that it could be submitted before a status check on the case takes place next Thursday. Unlike his son, Paul Phua is maintaining a position of defiance and will continue to fight charges of running an illegal betting scheme. Despite efforts by his legal team to have the case dismissed, the high roller will face a court hearing on April 13. The original incident, which took place in July 2014, involved a raid on two luxury suites inside Caesars. According to reports, Phua and his associates had been running an illegal sports betting operation worth hundreds of millions of dollars out of the hotel. Investigations have led to further accusations of Phua being linked to the 14K Triads and additional illegal betting operations in Asia. Overall the legal saga has played havoc with Phua's public reputation and with more wrangling set to take place in the coming weeks it's unlikely he'll be spending much time at the high stakes poker tables in Vegas or Macau.